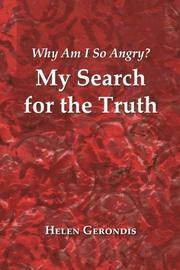 A debut memoir explores personal causes of anger and weight issues. Gerondis, of Greek-Australian extraction, grew up in Sydney and had a Roman Catholic education. She rejected religion because she believed a literal interpretation of the biblical Adam and Eve story (Genesis 2), which she first heard from nuns at age 9, had been used to justify the subjugation of women. Years later, she was astonished to discover another Creation account, in Genesis 1, that didn’t assign blame or inferior status to women. The author’s indignation at how inequality of the sexes has, in her view, been entrenched in Catholic doctrine and social policy thanks to Genesis 2 comes through clearly in her book. “Feeling that we have all been ‘hoodwinked’ is the greatest source of why I am so angry,” she writes. But there are numerous reasons for bitterness here, as the frequent “I am angry that…” statements attest. For instance, early disappointment over her lack of higher education led to comfort eating and weight gain. Her parents did not allow her to attend university; instead, she got a kindergarten teaching diploma and later embarked on multiple part-time degrees, including one in women’s studies, while raising her seven children with her husband, Jim. Although she eventually became the first Greek-Australian woman admitted to the bar of New South Wales, she could never practice law full-time because of family commitments. Gerondis effectively investigates the sources of her eating disorder and pinpoints ongoing resentments, giving this the flavor of a therapy session transcript. Indeed, the memoir arose from an assignment for her postgraduate diploma in psychotherapy and reflects a determination to pay more attention to the “inside Helen.” But the writing style is flat; in general, this feels more like a random assortment of memories than a narrative. Certain points are made multiple times, especially about Genesis and her husband’s obsession with sports. There’s also a reluctance to wrap up: the epilogue is followed by another 50 pages’ worth of personal updates and political developments. While the author discovers why she’s angry, she chooses to focus on lingering grudges rather than present a redemptive or educative arc.